The Tomistoma is a large freshwater crocodilian from Indonesia and Malaysia. They can attain huge sizes, with males occasionally exceeding 5 metres in length, and females regularly growing to over 3m. Tomistoma hatch out of the largest egg of any living crocodilian. These crocodilians are restricted to rivers, lakes and swamps in low lying areas, especially the peat swamp forests of Borneo, Sumatra and Malaysia. 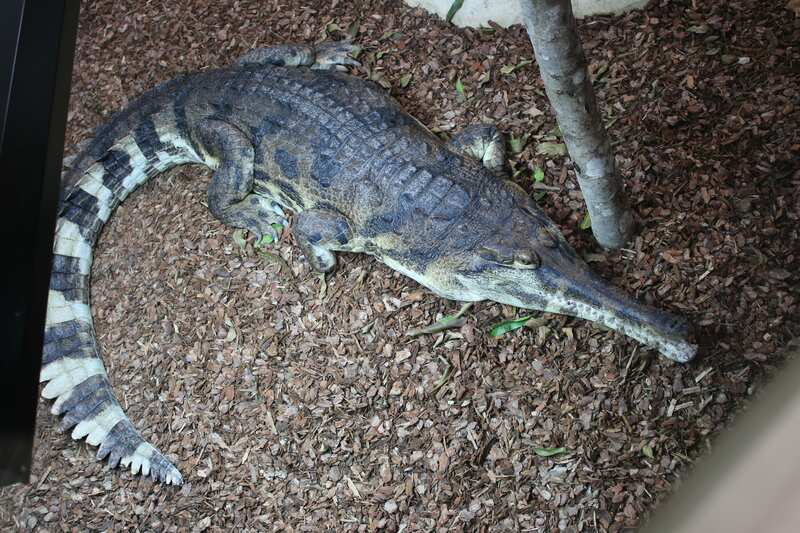 The Tomistoma is classified as ‘Vulnerable’ on the IUCN Red List of Threatened Species. These crocodilians are restricted to rivers, lakes and swamps in low lying areas, especially the peat swamp forests of Borneo, Sumatra and Malaysia. Juvenile animals will feed on invertebrates, including shrimp, and aquatic insects. Adult animals have a varied diet that can include fish, monitor lizards, monkeys, waterbirds, and turtles. There are now several records of Tomistoma killing cattle, so these crocodilians are large and powerful animals. Tomistoma are found in low numbers throughout their range. We have very little information on historic populations, so it is difficult to assess how the population has varied over the years. Threats to the species include drastic loss of peat swamp forest habitat to logging, fires, and conversion of these areas to palm oil plantations, as well as entanglement in fishing nets, and opportunistic removal of young animals and eggs by residents and crocodile farmers. We have two Tomistoma here at the zoo. They can be found at the rear of the Croc House in one of our new enclosures, opened in July 2016. Our male measures an impressive 3.6m and weighs 150kgs, whilst the female measures 2.5m and weighs 45kgs. We are working with researchers to help to protect Tomsitoma, and you can help too. Find out more here.